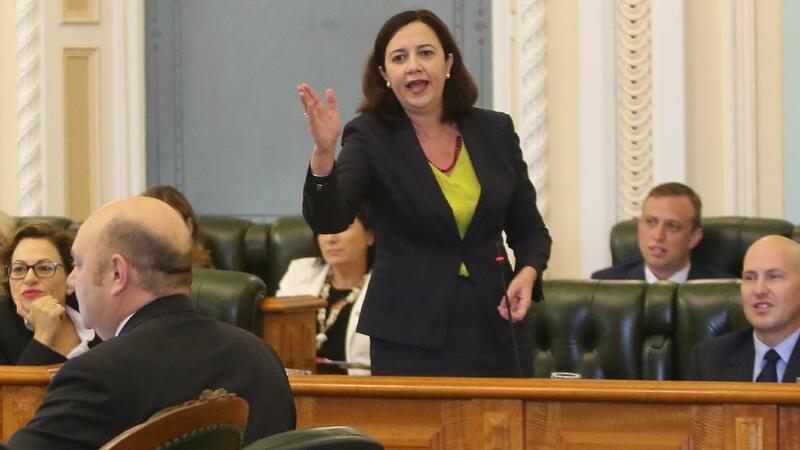 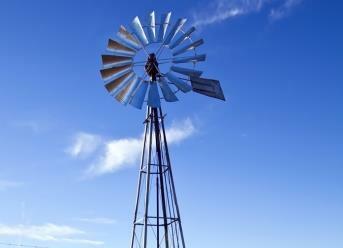 Proposed changes to legislation in Queensland could see mining and resource companies with an unlimited right to take water without a water license, and landholders with no right to appeal this water-take. 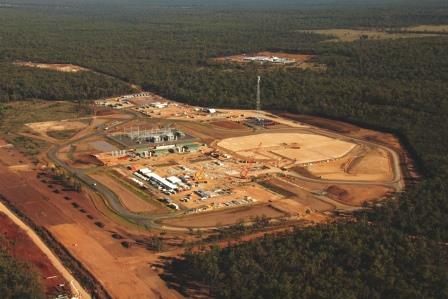 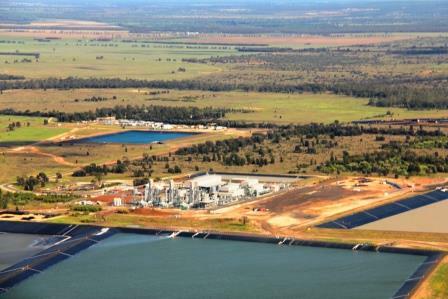 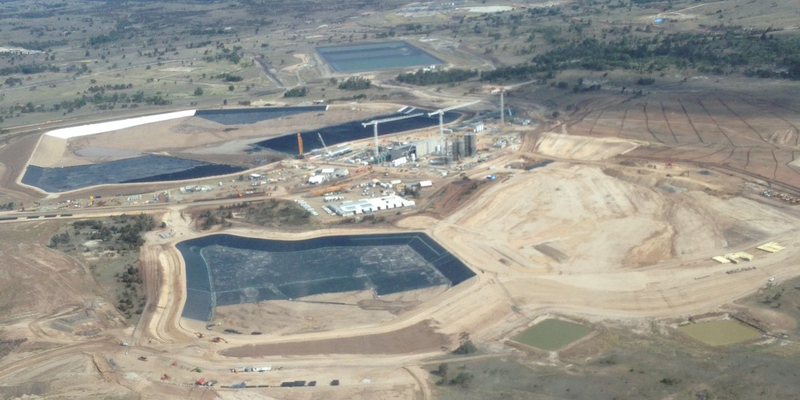 Mr Tom Crothers, Director of Stellar Advisory Services, said the Queensland Government’s plans to grant statutory rights for the take of underground water to miners, was a serious concern. 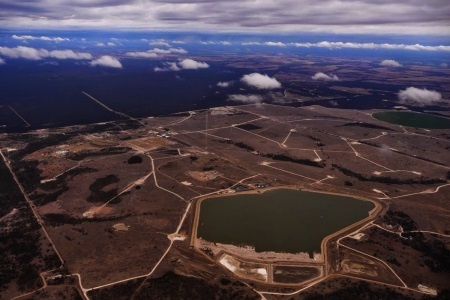 “These changes which are set to go through in the proclamation of amendments to the Water Reform and Other Legislation Amendment Act and the Mineral Resources Act, will give resources and coal mining companies the right to extract huge amounts of associated groundwater for their operations. 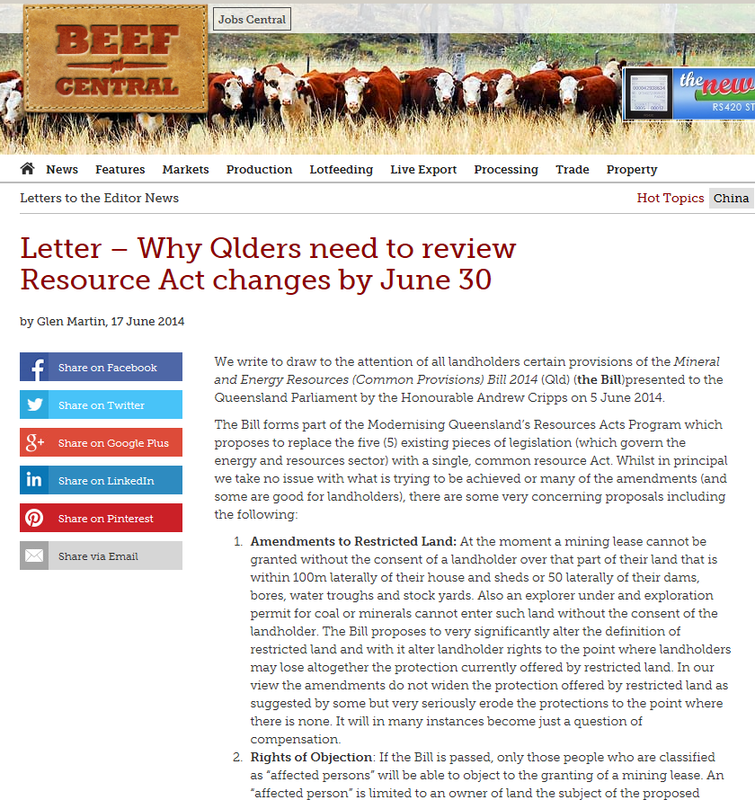 Mr Crothers said one of the only positives in the proposed legislation was that is that the mining companies would be required to report to government how much water they extract. 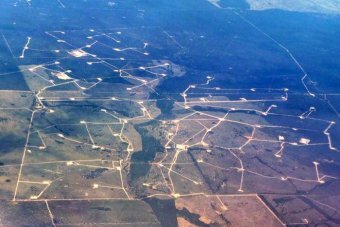 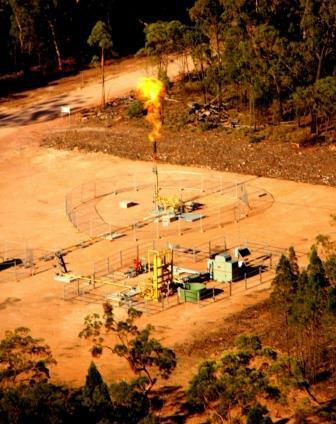 Coal Seam Gas (CSG) companies who under their environmental authorities, are already able to extract water without a water license, currently have to report how much they take and miners should be required to record and report how much underground water they extract. 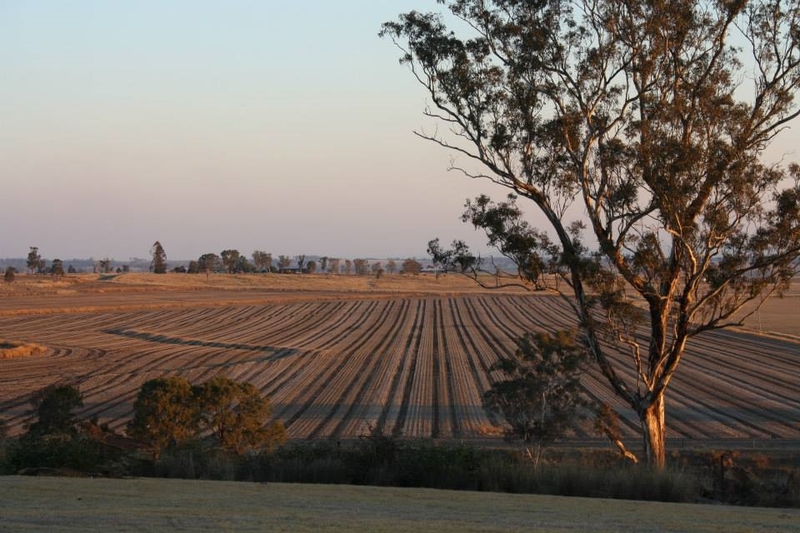 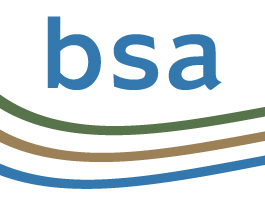 Mr Crothers is one of the guests speakers to appear at the Basin Sustainability Alliance’s ‘CSG Hot Topics’ event to be held in Dalby on 13th October 2015. 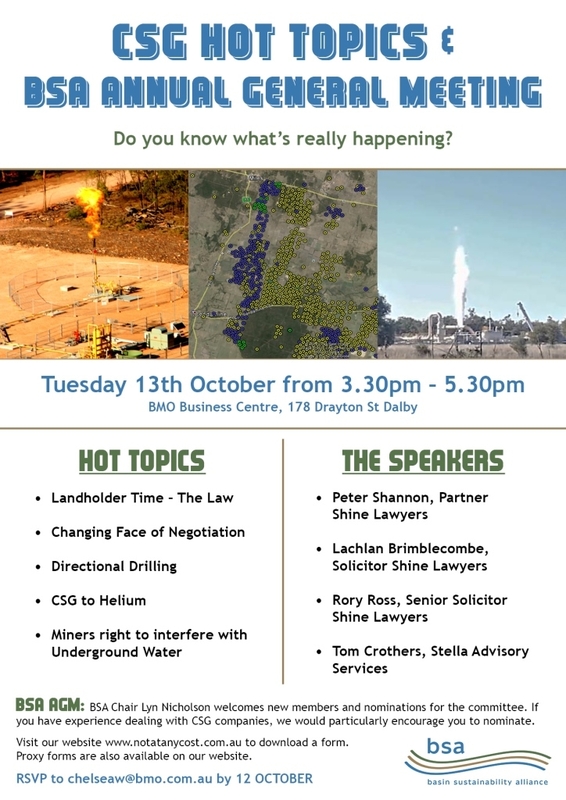 Other speakers include Peter Shannon, Rory Ross and Lachlan Brimblecomble of Shine Lawyers who will speak on Landholder Time and the law, The Changing face of CSG negotiation, Directional Drilling, Tight gas and shale gas, Landspray while drilling, and CSG to helium.